Joocial 9 Beta 1 is here. Post sharing running everywhere! Today we are incredibly excited to introduce Joocial 9 Beta 1 release. It marks the point where the new software is fully operational. All the moving parts are defined and working as expected. We have completed the architectural definitions and implementation of the core. 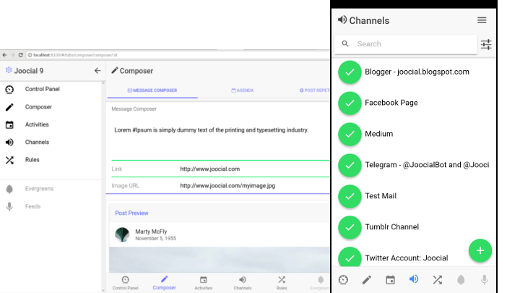 Joocial 9 aims to provide a better toolkit for post sharing running everywhere: iOS, Android, Desktop, and on the web as a Progressive Web App. Joocial 9 will offer a consistent user interface to handle social content management on the underlying platform in a portable, cross-platform way. That means the Joocial app will work no matter where it runs. It is still not ready for production, and it can only be installed side by side along a Joocial 8 installation. However, the Beta version allows testing with the new concepts that are coming in the next major release of our extensions. Joocial 9 Beta 1 is available for testing, and it can be downloaded here. Today we are incredibly excited to introduce Joocial 9 Alpha 3 release of our future hub for CMSs. This is mainly an internal milestone, but it marks the point where the new software is fully operational. All the moving parts are defined and working as expected. Joocial 9 aims to provide a better toolkit for post sharing running everywhere: iOS, Android, Desktop, and on the web as a Progressive Web App. Joocial 9 will offer a consistent user interface to handle social content management on the underlying platform in a portable, cross-platform way. That means the Joocial app will work no matter where it runs. A New Usage Scenario for Joomla optimized to be intuitive. The same user experience on desktop and the mobile app for Android and iOS. A Simple Plugin model (no more optional plugins). Translations will be provided in the following languages: English, German, French, Spanish, Italian, Portuguese Brazil, Dutch and Polish. More languages will be added after the initial release. That’s a long way of saying there are cool features in Joocial we think our users will appreciate. No migration. The new version is going to be fully compatible. It will be installable side-by-side with the current version 8. We expect to support both versions at least for one year. In the upcoming release, we are going to remove features that were defined ages ago, they have been with us for years, but they are no longer actively used. Plugins and Settings will be removed/simplified. Jootool, Front-End Management. The whole extension will be available on the front, back and in the mobile app. We are going to need your feedback! Today’s alpha release represents more than one year and a half of hard work over thousands of commits, and we’re just getting started. Joocial 9 is not production ready yet, but we hope to be at that point soon. For Joocial 9 to move forward, we are going to need your feedback and testing. In the next months, we are going to publish a series of Beta versions for testing. To simplify the testing, the new Joocial 9 will be installable side-by-side with the stable version. So, you will be able to test the new shiny feature along the current installation. Adaptive Images, we have rewritten the code to empower the following techniques and implemented unit testing to confirm that it works reliably in all cases. Lazy Load, we have updated the original stable version of the jQuery plugin and added a new Vanilla Lazy Load (beta) alternative, with support of srcset and sizes attributes. Compatibility with Joomla 3.8 or superior. 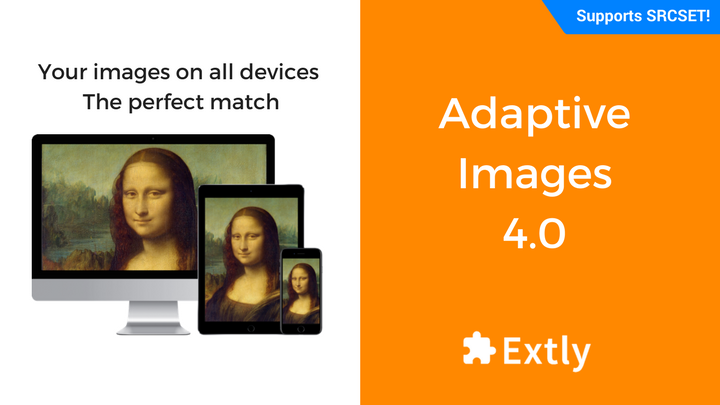 Including compatibility with Joomla! 4. This new major version also embodies a new direction in our development practices, where we manage the process to include unit testing and best coding practices as part of the general methodology to produce high-quality software for desktop and mobile devices. Happy Holidays! 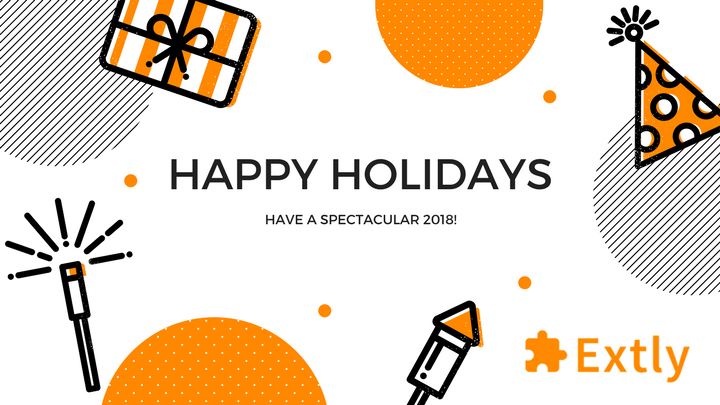 Wishing you a spectacular 2018! Extly in 2017: A fantastic year! Happy Holidays from everyone here at Extly. Wishing you a spectacular 2018! In this year, we have released several updates to AutoTweetNG and Joocial 8, and at the same time continued the development of the next major version, Joocial 9. We have also released XTDir 6.6 for SobiPro 1.4, EasySocial 2.1 and JomSocial 4.5. In 2017, we have created a brand new service: JoomGap SlimApps, the easiest way to create a mobile app based on an existing website. Additionally, we integrated web and push notifications for Joomla and presented SlimApps and Joocial content hub at Joomla World Conference, Rome. Finally, we are readying a new AutoTweet and Joocial version (8.18) to say goodbye to this amazing year. At this time, the beta version is already available in the Member Downloads. Take full advantage of the recent releases with a new or renewed membership purchase at 30% off. Joomla! has recently introduced a powerful new feature, Custom Fields. Now, it is possible to create articles and extended them with a rich set of fields. By default, Joomla! comes with these field types: Calendar, Checkboxes, Color, Editor, Integer, List, List of Images, Media, Radio, Sql, Text, Textarea, Url, User and Usergroup. On top of this, more field types can be installed and they are readily available on Joomla! extension directory. To support this new ecosystem of functionality, we have augmented the integration of AutoTweet Free, PRO, and Joocial (8.16). The default content plugin, that processes Joomla! Content Articles, is now able to include the original text fields and/or the new custom fields. In the plugin configuration, we have added a new Post Template where a full message can be shaped to reach the site target. To sum up, now, the basic component of Joomla! raises the bar of the content definition and becomes a complete Content Construction Kit (CCK). 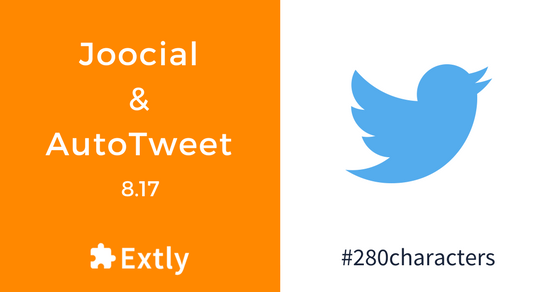 This feature is virtually a game changer and our social media management extensions (AutoTweet Free, PRO, and Joocial v8.16) are ready to accept the challenge. To test the new functionality, version 8.16 is already available in the Beta channel and the stable version is going to be released in the next week. Web Push Notifications. A service worker for Joomla!